Despite maintaining a respectable 4,700-mile network linking the Twin Cities with Chicago/Milwaukee the Soo Line was dwarfed by Midwestern giants Chicago & North Western, Milwaukee Road, and Chicago, Burlington & Quincy. Its story carries many similarities to the nearby Minneapolis & St. Louis as both were conceived to improve transportation services for Twin Cities flour millers. Unlike the Tootin' Louie, however, Soo's early promoters had a unique and innovative concept for their railroad which would bypass congested Chicago entirely and connect with Canadian systems through the Sault Ste. Marie gateway. The idea worked although when financial difficulties arose an expanding Canadian Pacific acquired the Soo to increase its American presence. 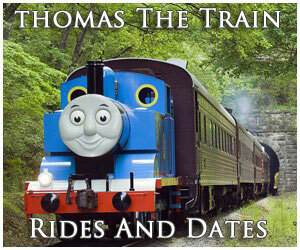 Known for many years as the Minneapolis, St. Paul & Sault Ste. Marie Railway it officially became the "Soo Line Railroad" in 1961. In later years it was quite profitable, so much so that Mike Schafer notes in his book, "Classic American Railroads: Volume III," it often paid for new locomotives with cash. 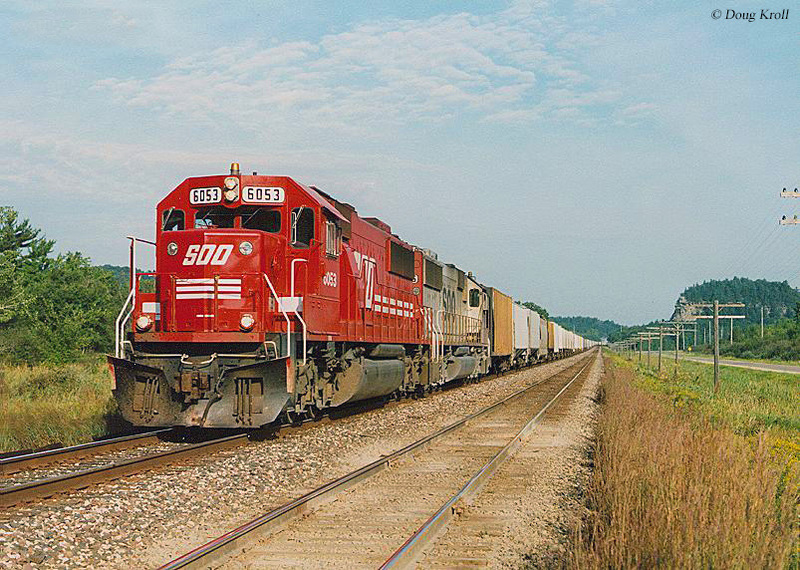 In 1990, CP acquired full ownership of the Soo and today it exists only as a paper corporation. 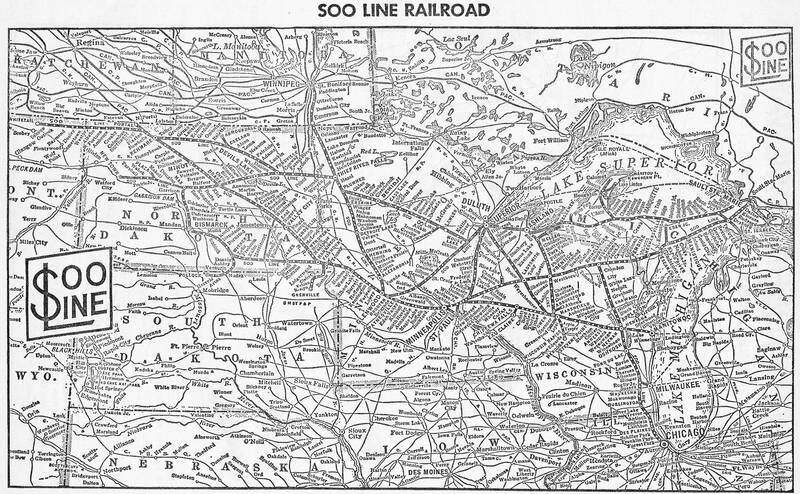 The Soo Line was created for a singular purpose, to improve the Twin Cities' transportation choices. This region, along the Upper Mississippi River, grew into a booming flour producer thanks to the beautiful Falls of St. Anthony, which offered millers a ready-made source of power. The first U.S. presence here, Fort Snelling, opened in 1825. Milling had been in production since the fort's early years and commerce expanded in September of 1848 when Franklin Steele opened a local sawmill. In 1849 the town of St. Anthony was incorporated on the east side of the river while directly to the west Minneapolis was formed in 1867. The area grew quickly to serve these industries, which meant a railroad was needed. The first was incorporated in 1853 but lack of financing delayed development. By the time the Minneapolis & St. Louis began building out of Minneapolis in 1871 early predecessors of the Milwaukee Road had already linked the Twin Cities with Milwaukee and Chicago (November, 1867). Before long, the Chicago & North Western and Chicago, Burlington & Quincy had also arrived. 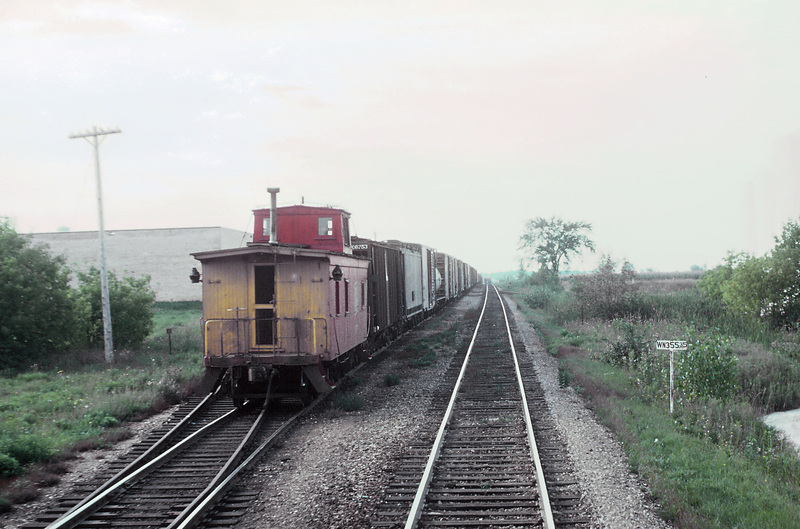 As Patrick Dorin notes in his book, "The Soo Line," this left millers with a big problem. All railroads reaching the Twin Cities did so via Chicago. As the lone eastern gateway this meant freight rates were controlled by that city. To correct this problem several businessmen came together for the purpose of constructing their own railroad. On September 29, 1883 William D. Washburn (also involved with the Minneapolis & St. Louis), H.T. Wells, John Martin, Thomas Lowry, George Newell, Anthony Kelly, C.M. Loring, Clinton Morrison, J.K. Sidel, W.W. Eastman, W.D. Hale, Charles Alfred Pillsbury (Co-founder of C. A. Pillsbury & Company in 1872, along with his uncle, John Sargent Pillsbury [who helped established the M&StL]. It remains a leading producer of baking products. ), and C.J. Martin incorporated the Minneapolis, Sault Ste. Marie & Atlantic Railway (MSStM&A). With local millers owning 75% of the company, its purpose was to entirely bypass Chicago and reach the east coast through southern Canada. From there, flour could access Boston, Massachusetts for trans-Atlantic shipment. The railroad's target was Sault Ste. Marie within Michigan's Upper Peninsula. This town was based along the south bank of the St. Marys River, which allowed for interchange with Canadian lines through Ontario and southern Quebec. It enjoy relatively strong financial support which enabled construction to commence quickly; the project began in April of 1884 building westward from Cameron, Wisconsin. The railhead had soon reached nearby Turtle Lake (46 miles) with trackage rights from that point established over the Chicago, St. Paul, Minneapolis & Omaha Railway ("The Omaha Road") into the Twin Cities. At the same time work progressed to the east, reaching Rhinelander in 1886 and finally Sault Ste. Marie on December 10, 1887. In his book, "History Of The Canadian Pacific Railway" author W. Kaye Lamb points out the CP linked up with the MSStM&A via a branch off its main line at Sudbury to Sault Ste. Marie, Ontario that opened in late 1888. Interestingly, this connection proved as important for the CP as it did the MSStM&A. Canada's first transcontinental railroad was, at the time, in a real battle with the expanding Grand Trunk Railway (GTR), the primary carrier serving the eastern provinces (especially Ontario). There was a great fear that it would reach Sault Ste. Marie first. After considerable sparring between the two, CP was awarded the gateway. The MSStM&A's next focused on a dedicated Minneapolis/St. Paul corridor. To accomplish this it incorporated the Minneapolis & St. Croix Railway which completed the gap into Minneapolis during January of 1888. Once completed a new 501-mile route was established across the Upper Midwest. In the meantime, agricultural branches were added to the west; chartered in 1884 as the Minneapolis & Pacific Railway it had reached Boynton and Bismarck, Dakota Territory (later North Dakota) by 1887. While all of this was ongoing, the Minneapolis, Sault Ste. Marie & Atlantic ran into financial difficulty. With an uncertain future Canadian Pacific realized its American connection could fall into unfriendly hands, such as the Vanderbilts or James Hill. Unfortunately, the company's options were limited since its own monetary situation precluded it from directly acquiring the moribund MSStM&A. In the end, Donald Smith and George Stephen, two individuals instrumental in CP's development and construction, used their very own money to acquire the properties in April of 1888. Perhaps it seems contrite given their wealth but both risked everything to secure Canadian Pacific's U.S. presence. It should be remembered that railroading was a much different industry in the late 19th century. The largest were controlled by a select few; names like Vanderbilt, Harriman, Gould, and Huntington. They often battled among themselves for territorial control, sometimes even building new railroads simply out of spite (such as New York Central's South Pennsylvania Railroad in its never-ending war with rival Pennsylvania). Following their purchase, Smith and Stephen merged all three (Minneapolis & Pacific, Minneapolis & St. Croix, and Minneapolis, Sault Ste. Marie & Atlantic) on June 11, 1888 to form the new, 737-mile Minneapolis, St. Paul & Sault Ste. Marie Railway (MStP&SStM). 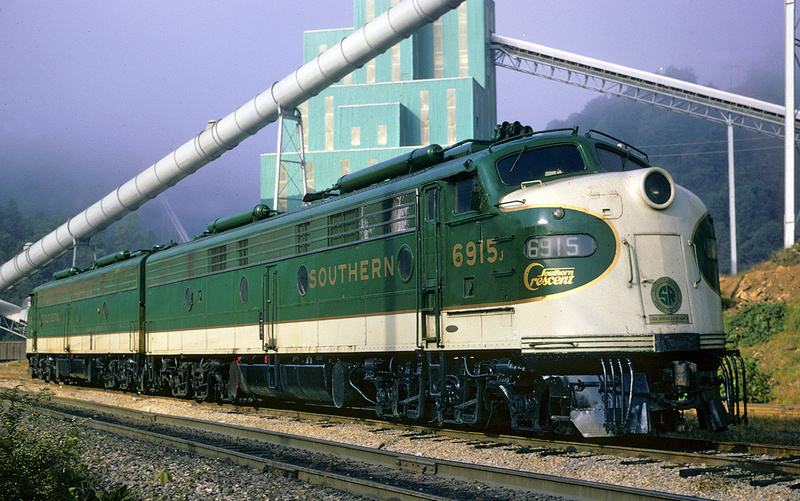 From an early period the company was simply known as the "Soo" or "Soo Line." It was the phonetic spelling of "Sault" in Sault Ste. Marie, a French word meaning waterfall or rapids. On June 3, 1889, the first train bound for St. Paul left Boston, Massachusetts. In 1890 Canadian Pacific's financial situation had greatly improved, enabling it to control the Soo by securing the railroad's funded debt. It did the same for the nearby Duluth, South Shore & Atlantic Railway, a struggling ore hauler linking Duluth/Superior with Sault Ste. Marie. With the threat of bankruptcy eliminated, Soo's next development involved opening an additional connection with CP, partly as a protective measure. Throughout the 1880's James Hill had been steadily building his Great Northern Railway and once finished in 1893 eliminated Northern Pacific's monopoly into the Pacific Northwest. Until that time, Hill and CP had mutually carried traffic between the Twin Cities and the latter's west coast port of Vancouver. To keep this business flowing CP financed a MStP&SStM extension to Portal, North Dakota along the Saskatchewan border. The project began in 1891 from Hankinson and was finished in 1893. At the same time, CP completed a short branch from Portal to its main line at nearby Moose Jaw, Saskatchewan. A third gateway was later opened in 1903 to Winnipeg, Manitoba via a new line from Glenwood to the Manitoba border at Noyes, Minnesota. Following these efforts the Soo constructed several agricultural branches to increase its grain tonnage. Most were situated in North Dakota, serving such small communities as Kenmare (1905), Drake (1906), and even Whitetail, Montana (1913). In northern Minnesota and Wisconsin the Soo also built extensions to bolster its positioning in this increasingly saturated region. First, it established two connections to Duluth, one from Brooten (208 miles) which opened in 1909 and another from Frederic, Wisconsin completed in 1912. Finally, a line from Plummer to Moose Lake was finished in 1910 that acted as a bypass between its Duluth connection and Winnipeg gateway. Aside from new construction the railroad also grew through acquisition, most of which was through small short lines. 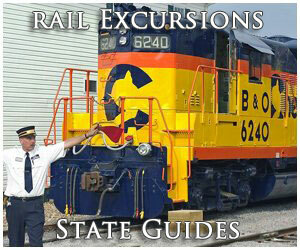 One noteworthy addition was the 1,000-mile Wisconsin Central Railway (WC). It actually predated the Soo having been incorporated in 1871 for the purpose of linking Menasha, Wisconsin with Superior. To aid in the project Congress provided nearly 2.4 million acres in land grants. Ground was broken from West Menasha (now Neenah) on June 15, 1871 and work proceed rapidly; the initial 63 miles to Stevens Point was finished in just 120 days and the first train arrived in the latter town on November 15th. Beyond Stevens Point the railroad reached Colby, Wisconsin the following September. The northern component took a great deal longer due to the area's rugged topography. It began south of Ashland and had reached Penokee Gap (30 miles) by October of 1873. Within a few months rails were extended from Colby to Worcester, completed on January 6, 1874. Further construction was hampered by the financial Panic of 1873 and subsequent economic downturn but was finally opened from Menasha to Ashland on May 19, 1877 (service to Superior was operated in conjunction with the Northern Pacific). 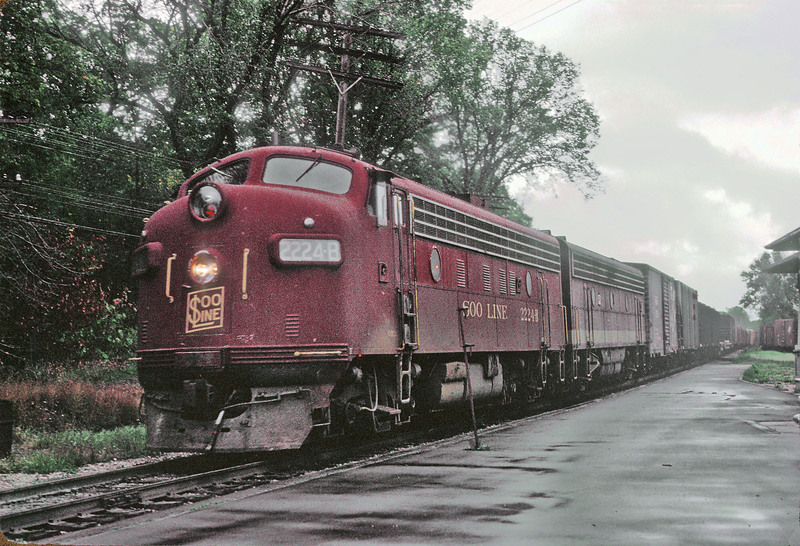 While this completed Wisconsin Central's original charter it continued to grow. A handful of subsidiaries incorporated during the 1880's eventually offered through service to the Twin Cities; the Wisconsin & Minnesota Railroad extended from Abbortsford to Chippewa Falls while the St. Croix & Chippewa Falls and St. Paul & St. Croix reached St. Paul on December 28, 1884. Meanwhile, the railroad began another extension towards Chicago when the Milwaukee & Lake Winnebago Railroad was incorporated in March of 1882. On December 18th the first section from Neenah to Slinger was opened with through service into Milwaukee provided over the Chicago, Milwaukee & St. Paul (Milwaukee Road). Just four years later, in February of 1886, the WC finished its Windy City route. 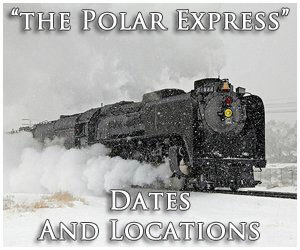 In 1890 it was leased by Northern Pacific. At the time, this move enabled the nation's first railroad into the Pacific Northwest an unparalleled Chicago - Puget Sound corridor. Had the WC ultimately been incorporated into the NP, competition across the Midwest would have been very different. Only one railroad managed to secure such a route, the Milwaukee Road. Unfortunately, the Panic of 1893 resulted in Northern Pacific's bankruptcy whereupon it lost its WC holdings. Afterwards, the railroad remained an independent for more than a decade and even grew slightly by opening service to Duluth (152 miles) on January 14, 1909. This constituted the bulk of its network, which peaked at 1,148 miles. Realizing the WC's importance the Soo gained direct control on April 1, 1909. The modern Minneapolis, St. Paul & Sault Ste. Marie was generally successful despite its reliance on agriculture and located within the highly competitive Upper Midwest. Its most difficult period was the depression era (1930's). At first, it weathered these lean times and even advanced Wisconsin Central $2.2 million in 1932 to prevent its bankruptcy. Unfortunately, as its own situation deteriorated the Soo could no longer afford to do so and the WC slipped into receivership in 1933. This was followed by the MStP&SStM, itself, in 1938. It was reorganized in 1944 as the Minneapolis, St. Paul & Sault Ste. Marie Railroad while its subsidiary's efforts took much longer. So long, in fact, that Wisconsin Central set a record for the longest railroad reorganization of all time, finally exiting receivership in 1954. The postwar years were prosperous as it laid heavier rail, installed centralized traffic control (CTC), and purchased diesels to meet growing demand. It officially retired steam on February 15, 1955 when 2-8-0 #468 dropped its fire that day. 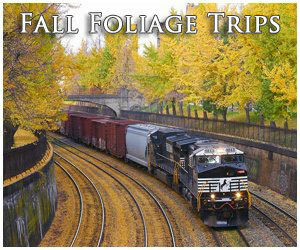 Throughout their corporate existence all three of Canadian Pacific's U.S. subsidiaries (Minneapolis, St. Paul & Sault Ste. Marie; Wisconsin Central; and Duluth, South Shore & Atlantic) had largely operated autonomously. 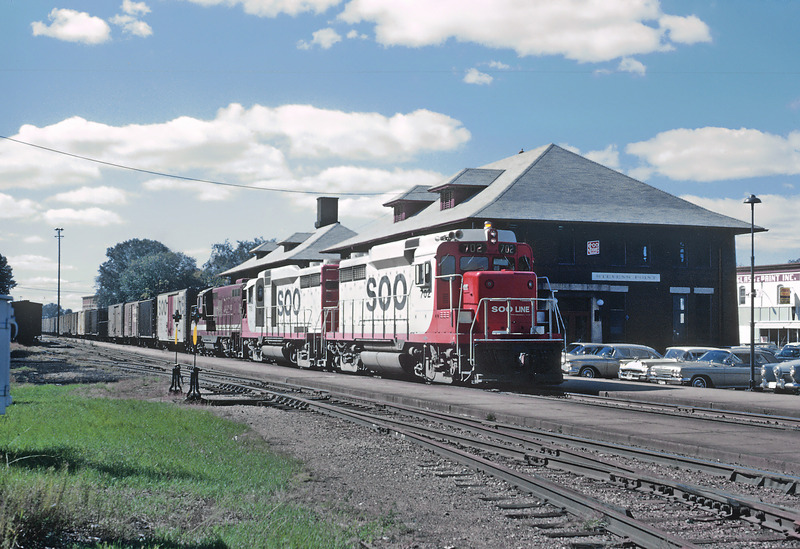 That changed when they were formally merged into the "Soo Line Railroad" on January 1, 1961. During its three decades as an independent, the Soo was quite successful, particularly under the leadership of president Leonard Murray. 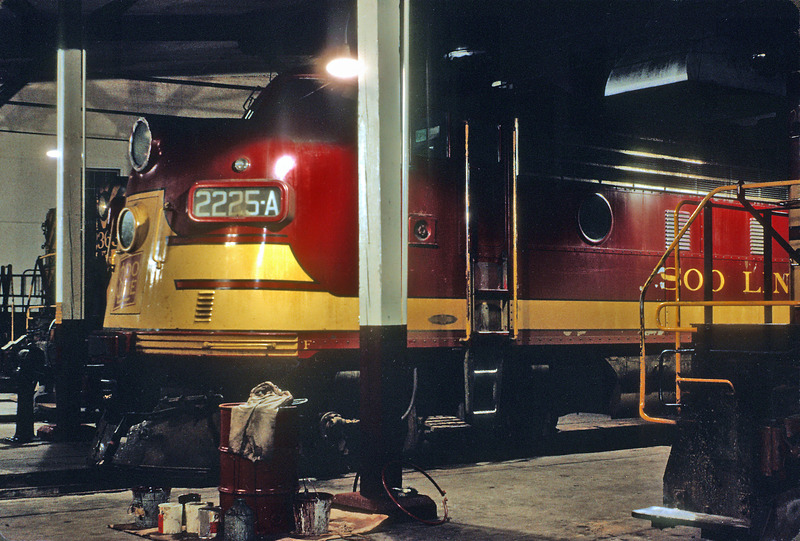 During his tenure the railroad became a lean operation by upgrading its physical plant and buying new equipment. Mr. Dorin's book points out its philosophy was as follows: "1. A company which believes the service produced must fit the needs of the customer and that most of the effort must be toward filling those needs. 2. A company which believes in producing a profit for providing a service. 3. A company which believes in innovation, but not innovation simply for the sake of changing. The company can point to many firsts, such as the unit grain train, consolidated pulpwood yards and direct Chicago interchange with outbound roads." * Rebuilt with a Caterpillar prime mover, ex-Union Pacific units. ** Acquired from Helm Leasing. **** Built as St. Louis-San Francisco #930 and #910. 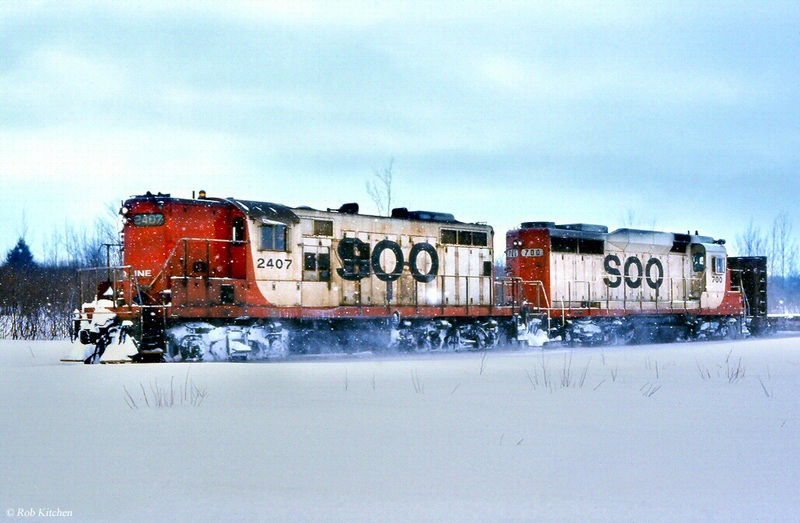 The above all-time diesel locomotive roster is thanks to "Soo Line Railroad Company: Locomotive Roster No.2 (Effective 12:01 AM Central Standard Time, Sunday, April 10, 1990)" released through the Soo Line Historical & Technical Society and "The Little Jewel: Soo Line Railroad And The Locomotives That Make It Go" by Wallace B. Abbey. Atlantic Limited: Connected Minneapolis to Boston in conjunction with Canadian Pacific and Boston & Maine. Copper Country Limited: Connected Chicago to Calumet, Michigan in conjunction with the Milwaukee Road. Mountaineer: Connected St. Paul to Vancouver, British Columbia in conjunction with Canadian Pacific. Soo Dominion: Connected St. Paul to Vancouver in conjunction with Canadian Pacific. 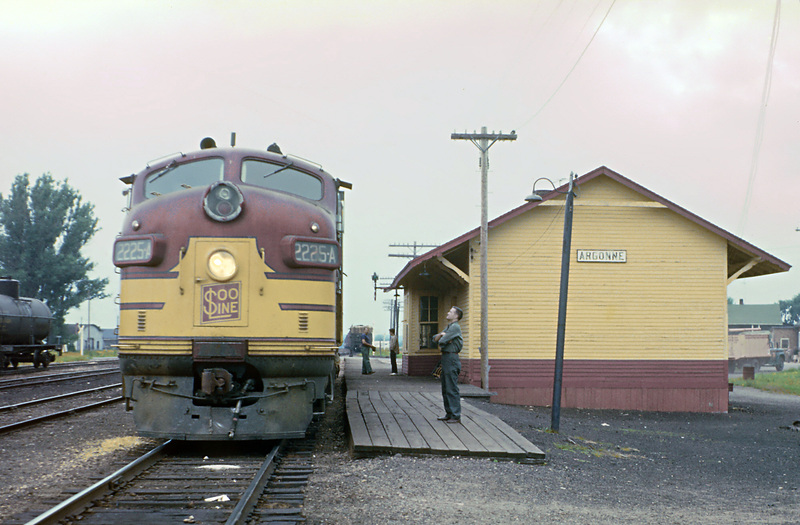 Winnipeger: Connected St. Paul to Winnipeg, Manitoba in conjunction with Canadian Pacific. 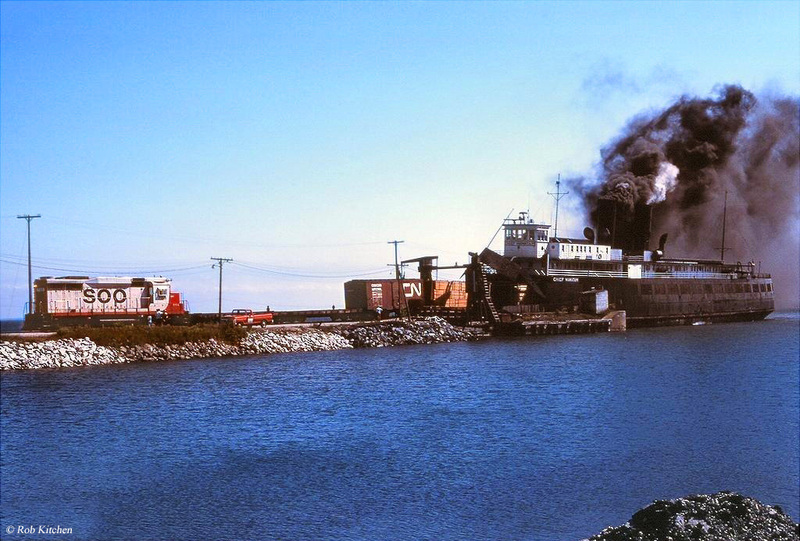 After the Staggers Act of 1980 greatly deregulated the industry the Soo realized it needed to expand. In doing so it attempted to purchase the defunct Rock Island’s "Spine Line" between the Twin Cities and Kansas City. When Chicago & North Western was awarded the corridor it turned its attention to the Milwaukee Road. By this time the one powerful Milwaukee had shrunk to a Midwestern-only, having abandoned its Pacific Extension. Once again, it battled rival C&NW but this time rued the day, acquiring control in 1985. Unfortunately, it came at an extremely high cost between the purchase price and Milwaukee's heavy debt. The Soo also poured millions into overhauling Milwaukee's poorly maintained infrastructure. 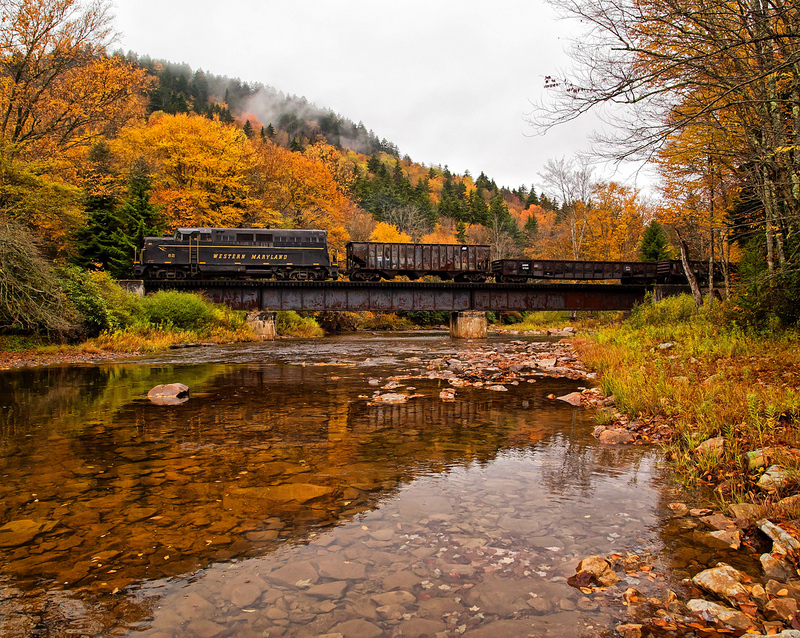 The railroad's once-sterling financial condition greatly declined. 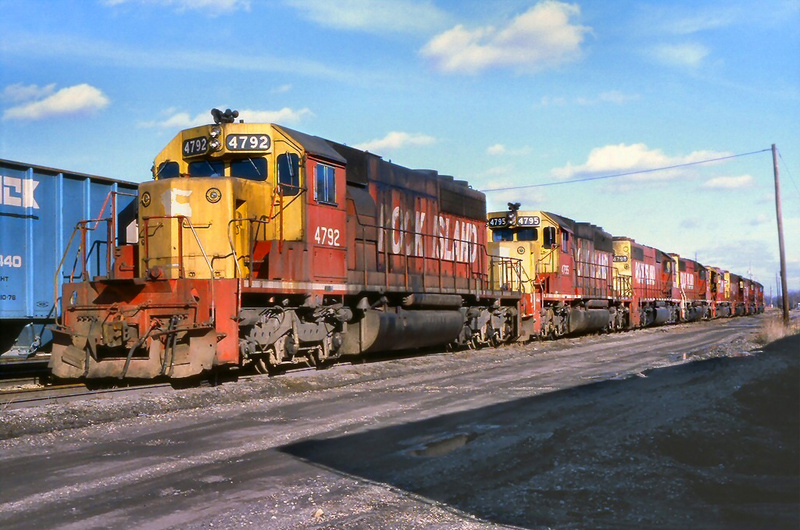 As the Soo's situation ebbed, parent Canadian Pacific lost interest and decided to sell its majority stake in the late 1980s. Then, in a strange move it quickly reversed this decision and acquired full ownership in 1990. Today the Soo is technically still an extant corporation albeit on paper only as it has been entirely integrated into CP's network.